Remember when I wrote about wanting to fire my cleaning guy? Well, a few days ago he quit. He blamed it on my cat. He said his cat allergies were really bad and he was getting constant infections thanks to my cat. Thanks to the one and a half hours a day he spent cleaning my apartment every other week. I guess it could be true, despite the fact that he never ever mentioned anything about this to me until I got to the point where it was so bad that he apparently had to quit. In his usual style, he didn't tell me he was quitting and that he wouldn't be showing up until it was an hour before he was supposed to come. There was apparently no possible time he could've told me about this until right before. I don't get it. He was so good when he started out. Then he gradually morphed into being completely unreliable. I still don't understand how he forgot to take the check I left for him on multiple occasions. I gave him several opportunities to quit if he wanted, and he never took it. You know you don't trust somebody when they tell you they couldn't show it because they were in a car accident, and you think they were lying. Also, weirdly, he left his vacuum cleaner in our garage. Like, forever. My husband and I disagreed over whether to change our locks. The cleaning guy didn't offer to return our key, even though I didn't ask. I just wanted to have the locks changed, either way. My husband said that he was the one who quit, and if we were trusting him with our key before, why wouldn't we trust him to have it now? I still wanted to change the locks. Adorable 93-year-old patient: "Obama. But a better question is, who is going to be the next President?" Adorable 93-year-old patient: "I hope you're joking." Adorable 93-year-old patient: "Good. Because if you weren't I'd have to ask you to leave." At a recent meeting, it was suggested that all physicians at our hospital give out our personal cell phone numbers when patients are being discharged, and tell them to call us with any issues. This would supposedly improve patient satisfaction. The medical director said he'd been doing this for years and had only gotten "like two calls ever." The response was overwhelmingly, "Hell no." I know of several physicians who have given out their cell to a patient and been harassed for years. But apparently, doctors giving out their cell numbers is a thing now. A few weeks ago, I was working at a computer when I heard a strange buzzing in my ear. At first, I thought it was a fly, but then I turned my head and saw a GINORMOUS insect buzzing around right next to my head. The insect landed right on the computer monitor. So obviously, I couldn't use the computer anymore. Not until somebody (else) killed the flying terror for me. A female physical therapist came over to me and asked if I was okay. I explained about the giant bug on my computer and that I was basically paralyzed with fear. The therapist then reached over and smooshed the giant bug with her hand. If I were a man, I would have been totally emasculated. As it was, I was a little emasculated. This has happened before. I think there was a jar I couldn't get open or something along those lines. I certainly don't mind getting help with something that either frightens me or involves physical strength that I don't have, but it does make me feel slightly like a wimp when a woman helps me. The more I watch Hillary speak and debate, the more I feel kind of sympathetic towards her. Whatever else you can say about her, Hillary is a smart woman. But she's not a great speaker or particularly charismatic, like her husband or Obama (or HIS wife). She's not the kind of person you just automatically like. I think that if a more charismatic person were running with her same exact background, they would be killing Trump. I get it, Hillary. I'm not charismatic either. 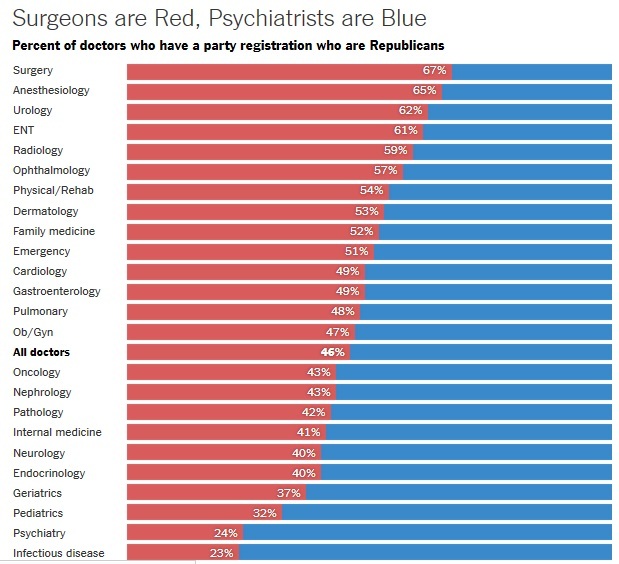 And while I'm not running for public office, being a doctor (at least in some fields) does require some amount of charisma. It's hard to know that no matter how hard I try, I just can't obtain the same level of likability that some of my colleagues get to without even trying. So I paste that same smile on my face that Hillary has through the debates and try to provide good care, and hope that it's enough to get patients to like me. For a short time, Brain Damage will be discounted to 99 cents! Get it now!